The Indian Army version of TATA Safari Storme SUV has been finally spotted on the roads. 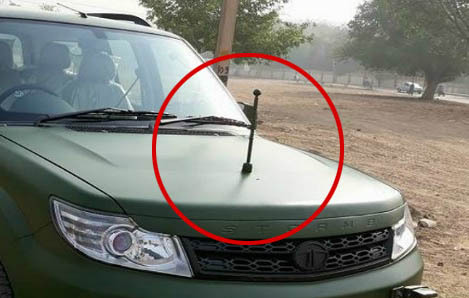 According to several news reports, Indian Army has been in talks with TATA Motors regarding a contract to upgrade all their vehicles from the ageing Maruti Gypsy vehicles. 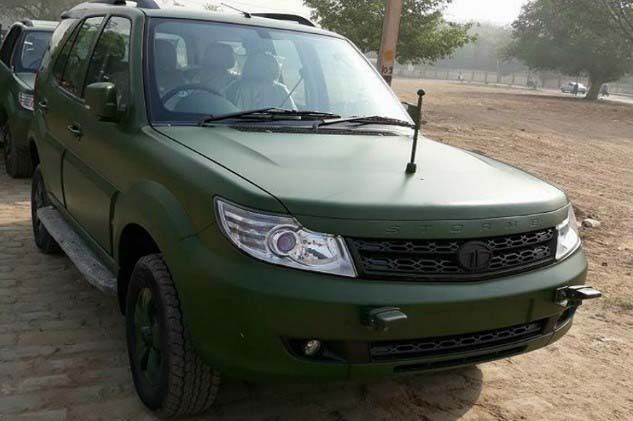 TATA Motors would be supplying around 3,200 units of the TATA Safari Storme 4X4 SUV to the Indian Army under the contract and the first group of the Army-Version SUVs can already be seen roaming around the roads. 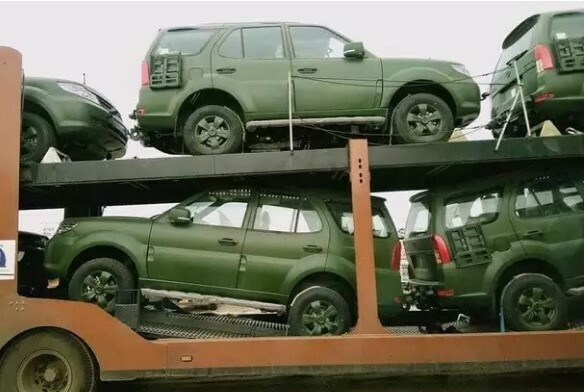 The Army-Specific version is believed to sport a Hard-Top, a load capacity of around 800KG and only wearing a matte-green skin. Even the rims are painted matte-green as well. The chrome inserts all around the car, along with front-grille and TATA Motors badging have been faded with a matte-black finish to avoid any reflection and maintain stealth. As per the Powertrain is concerned, this Army-Specific version is powered by a 2.2 Litre, 4-Cylinder turbocharged diesel engine mated to a 6-Speed manual transmission churning out 154 Bhp of power and 400 Nm of peak torque. The front bumper wears a Radio Antenna and the interiors comes with a stronger Air-Conditioning and a dual-tone finish, pretty much same as the on-going regular version. The vehicle also gets some serious Off-Roading changes over the regular version, such as Heavy-Duty suspensions and a thick Under-Body protection.